The next Pokemon GO Community Day event will take place on May 19. 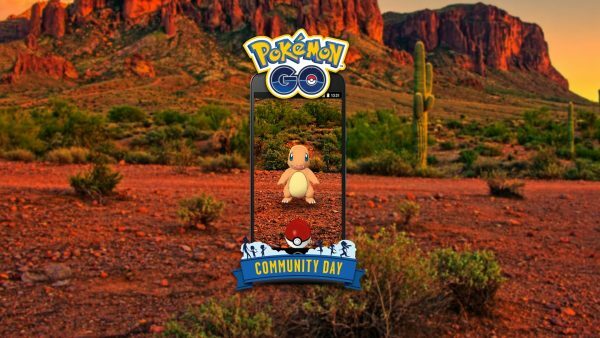 Fire-type Charmander is the featured Pokemon for the fifth Pokemon GO Community Day event. The Pokemon can learn an exclusive move when caught or evolved during event hours. As usual, Fast Technical Machines and Charged Technical Machines will not grant exclusive moves during community event hours. Pokemon GO Community Day bonuses for May will include three hours lures, and 3X the normal stardust. Ninatic Labs held the first Community Day event in January with Pikachu. February’s Pokemon was Dratini, March was Bulbasaur, and in April it was Mareep. From now through May 14, don’t forget to participate in the Pokemon GO Battle Showdown event. Fighting-type Pokemon will appear more often than usual, and players will earn 2X bonus XP for Gym Battles and Raid Battles. Raid Battles will also award a guaranteed 3,000 Stardust for participating and at least one Rare Candy if the player wins.